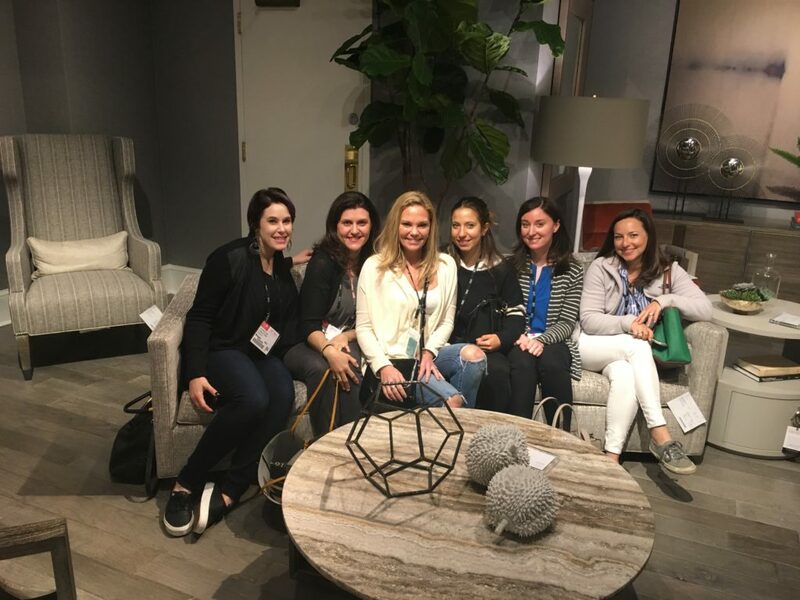 April was an exciting whirlwind of travel and inspiration (spring break in Florida with my girls, followed by High Point Market in North Carolina with my team). 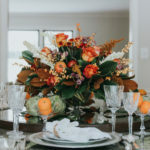 May is proving to be just as busy with House of Funk designing a table for Montclair Art Museum’s Celebrate Matisse luncheon along with lots of great design projects in Manhattan and New Jersey. 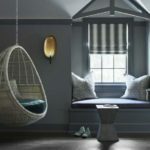 All of these elements have come together to inspire my seasonal picks for May. Here’s what I’m feeling this month. The crispy rice with spicy tuna, shiitake, and jalapeno roll at Momoya was completely delicious! A good friend took me to dinner at the Chelsea location and I’ve been craving it ever since. Definitely adding this restaurant to my list of top NYC eateries. 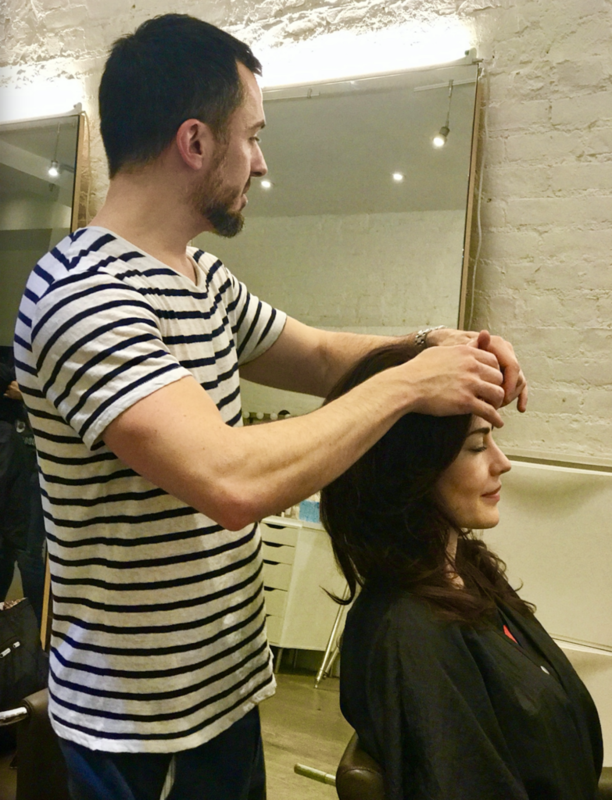 My longtime hairstylist at Aerea Salon in NYC keeps me looking and feeling good month after month (his personal motto). And my hair has never felt healthier. Thank you, Enrico! Julie Chavez creates incredible jewelry that benefits powerful causes. 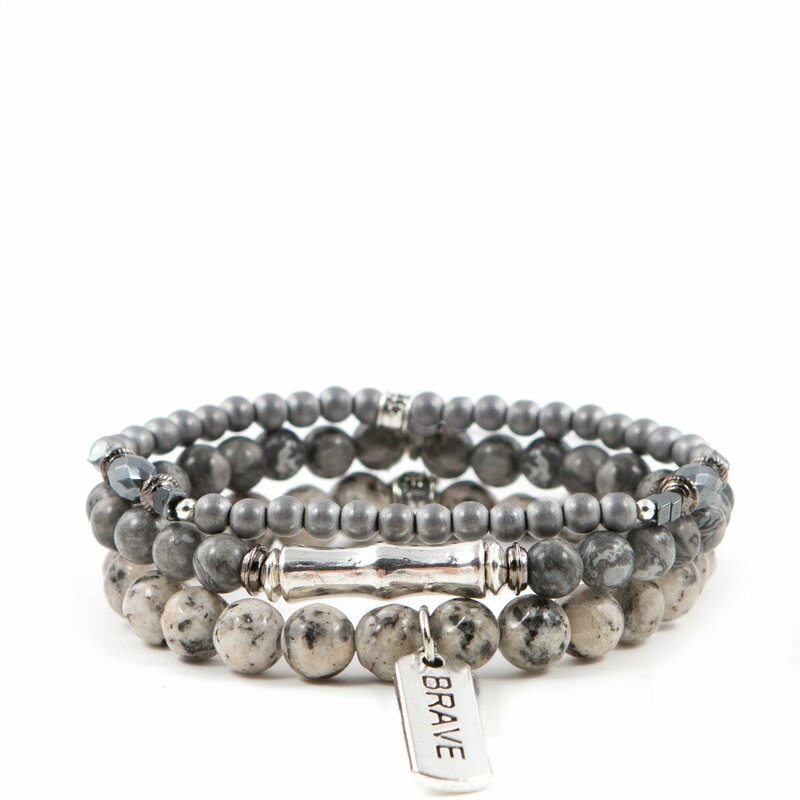 Right now, I’m digging the “Be Brave & Conquer” Charcoal Set of 3 bracelet. It goes with everything, and is a good reminder to be brave. Being an entrepreneur takes daily courage. It doesn’t only take courage when you launch, or when you “quote on quote” reach success. It takes courage every single day. Courage to say: I’m on my own, I’m going to make it work. Wearing this bracelet makes me feel empowered. 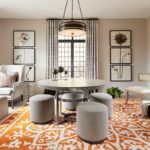 The HOF team and I recently returned from High Point Market. The trip was so. much. Fun. 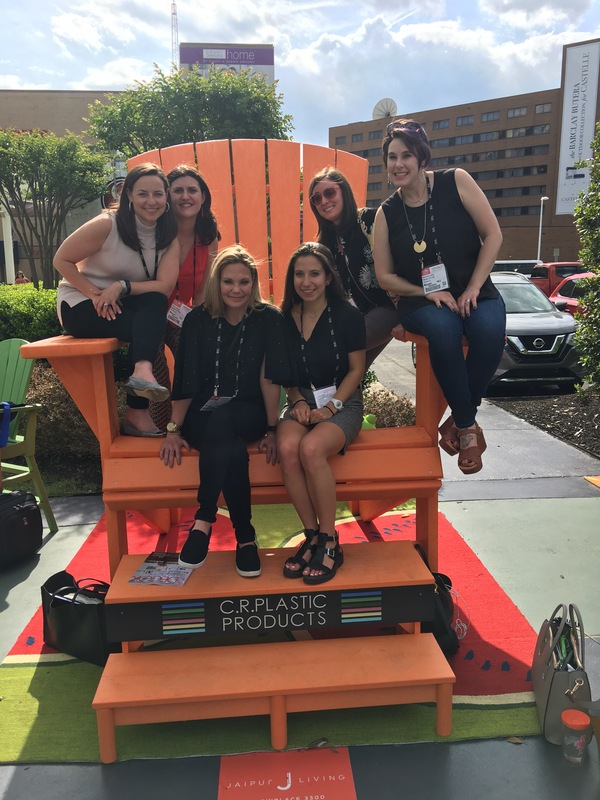 We met some incredible people, saw some beautiful pieces, learned about the construction behind some of our favorite products, and, most importantly tush tested more chairs than we can count. All in the name of good design. There may or may not have also been a few evenings of drinking good wine and singing karaoke (but you didn’t hear that from me!). 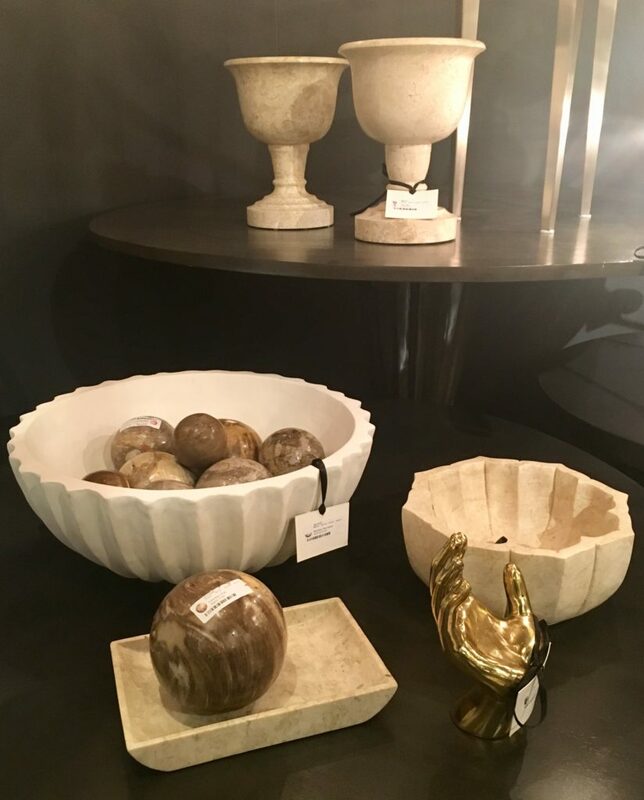 And, generally all things black and white… These Noir bowls were one of my favorite finds at High Point Market—they’re earthy and soulful, and I can’t wait to find the right console table on which to display them. 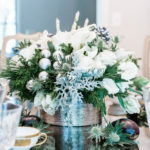 Marie Forleo has been a guiding force in my business practice for the last eleven years. Her tutorials are always on point, and push me to dig deep. My PR/marketing team and I are in the midst of her B-School program for our online interior design service. I can’t wait to share more once we finish the program. Tell me, what are you feeling this month?